Aston Martin is famous for being the car manufacturer of James Bond, meaning gadget packed super machines. Now it’s taking that to the next level and creating an Aston Martin submarine dubbed Project Neptune. Project Neptune is the result of a partnership between Aston Martin and submarine manufacturer Triton. 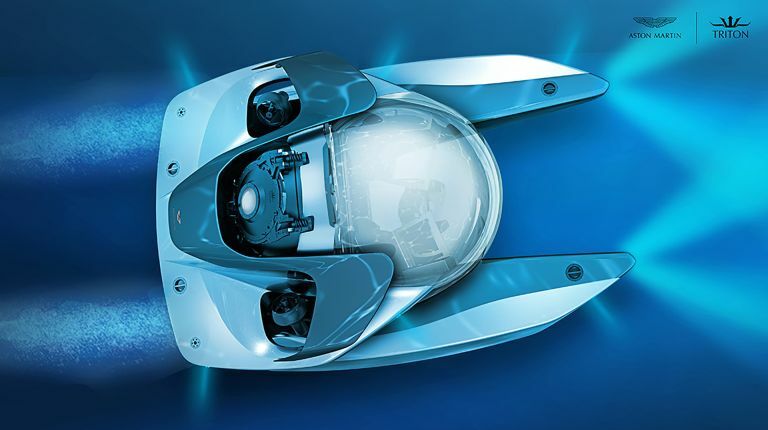 Aston designed the three-man submersible and Triton will be making it a reality. So who will own these high-end under-water wonder machines? As you’d imagine, the rich. These are being made for owners of superyachts who will be able to leave the surface and dive deep to explore the sea’s depths whenever they fancy. This fancy machine is likely to only be made in small numbers for those few that want and can afford it. This is part of Aston Martin Consulting (AMC), an offshoot of the company which last year helped create the Aston Martin AM37 powerboat. As for pricing and release date, you’ll have to wait. In fact we may not know at all since they will likely only be made bespoke for those that request them. That also means the general pricing likely won’t be a thing that gets released. Since this has just been announced we doubt they will appear anytime soon - well you’ll probably never see one, unless you’re a very lucky diver. We don’t know what optional extras the Neptune will come with either but underwater harpoon guns are surely a must for any discerning Bond villain superyacht owner. Interested in your own? Check out the Aston Martin enquiry page for more details. Check out the most ridiculous car spin-offs ever here.